or losers….haha. Tea and toast! 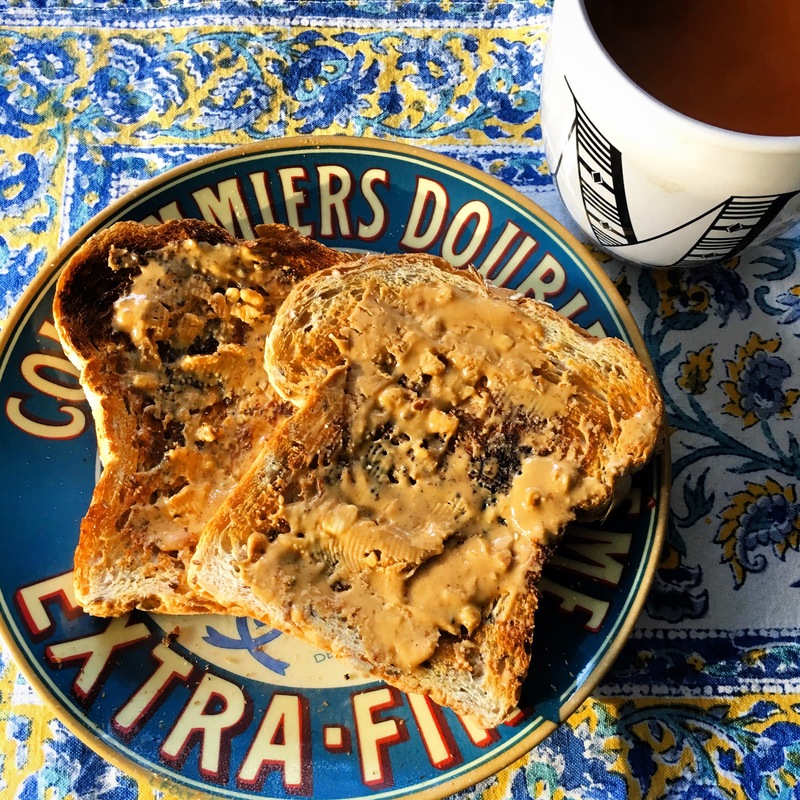 (with peanut butter no less) The clocks sprang forward last night. One of the harbingers of Spring, hooray. But sadly we are in the vicegrip of an Arctic freeze at the moment. -26 windchill this morning!! The poor wee birds and animals…. It is very demoralizing. I find it almost impossible to motivate myself to do anything that requires being outside. 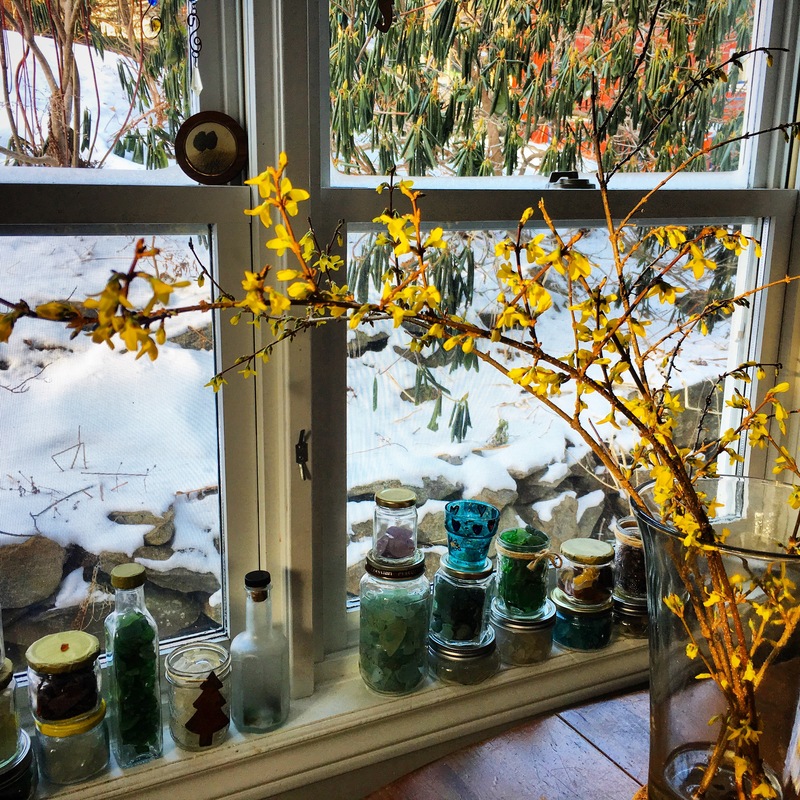 I spent last night at a friend’s house and she has branches of forsythia blooming on her table. Very uplifting. I think I will do that when I get home. Pick some and plop in a vase of water. They bloom and lift ones spirits! Other peoples houses always seem more interesting! 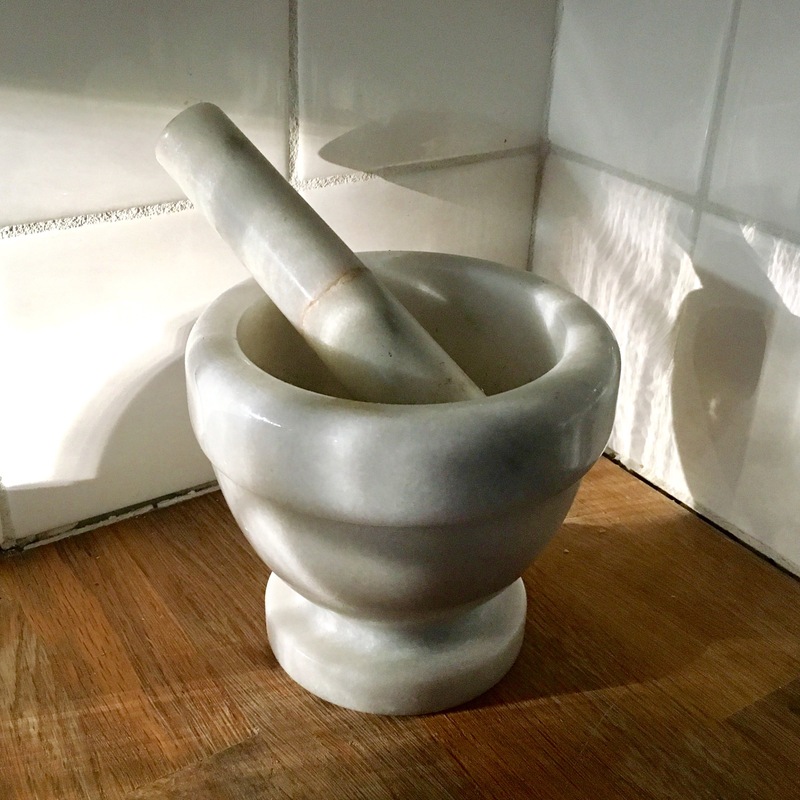 Here’s a mortar and pestle in her kitchen. I love how the light hits it just so.